Wean yourself from paper and plastic by hitting the grocery store with a bouquet of these bags in tow. 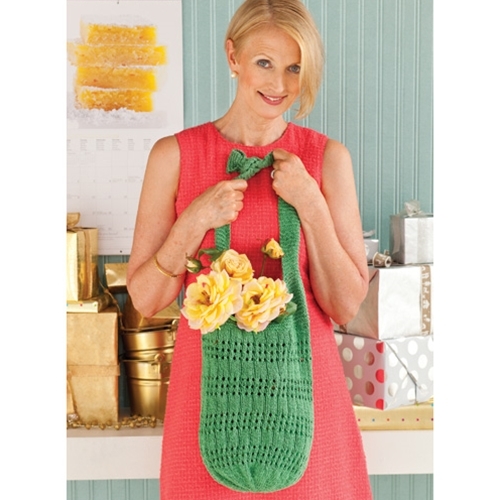 This to table market bag in a cotton/linen blend is stitched from the base up in openwork stripes, then divided for the garter-stitched handles. 20 sts and 30 rnds to 4"/10cm over pat st using size 7 (4.5mm) needle.